Samsung is ready to bet the farm its slowly weakening smartphone business on next year’s Galaxy S10 (or Galaxy X) lineup and that highly anticipated foldable device, making every effort to set the two ultra-high-end families apart from the competition. 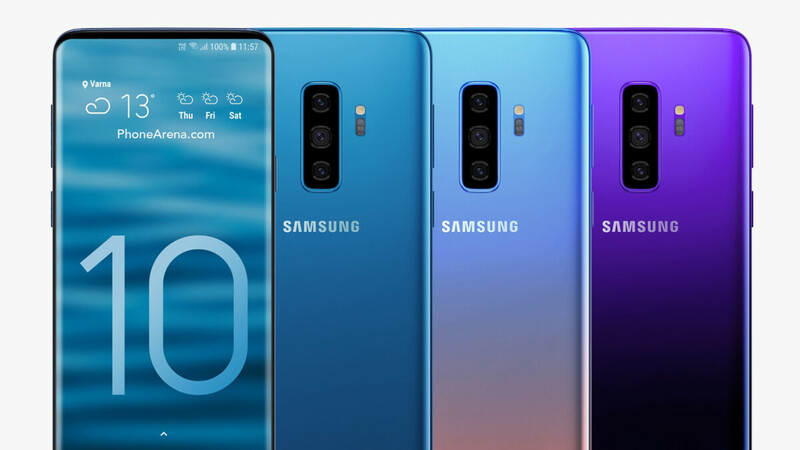 That will reportedly include releasing no less than four S10 models with different screen sizes, price tags, key selling points, color options, and possibly, even different build materials. If you’re not a fan of today’s prevalent metal-and-glass flagship design, SamMobile has some pretty great news, exclusively claiming the top-shelf Galaxy S10 variant will come with a ceramic back. This is far from etched in stone, obviously, but if the website’s inside sources prove accurate, the 6.7-inch GS10 beast with 5G connectivity and a grand total of six cameras would look like no other major high-ender widely available in the Western Hemisphere. While ceramic-backed smartphones are nothing new, they’re also hardly widespread. The Xiaomi Mi Mix was the company’s first “full ceramic” product, followed by similarly original and decidedly stylish Mi Mix 2 and Mi Mix 2S models. The Essential Phone also used a unique ceramic back in combination with a titanium body, while LG released just a few hundred Special Edition V30 units in Korea late last year with a zirconium ceramic rear cover. Bottom line, this is a rarely used material in the smartphone world, despite its almost legendary toughness and scratch resistance. Somehow, Samsung may have found a way to mass-produce both black and white ceramic Galaxy S10 5G versions without major difficulties and high costs. Either that or the company is still figuring things out, in which case we probably shouldn’t get too excited. Then again, even if this particular rumor doesn’t pan out, the 6.7-incher has plenty of other things going for it, starting with an (almost) all-screen design, ultrasonic in-display fingerprint sensor, Face ID-rivaling 3D scanner, and 512GB internal storage space. Would be nice but probably a Korean only variant. Nah the way Samsung haves that type of "In Your Face" attitude it will be worldwide and i can't wait honestly. Better save it for your wife. Changing from glass to ceramic is like changing your name from "George Sh*t" to "George Feces". The reason why people do not want glass is that it breaks, and the same happens with ceramic. Just use carbon fiber, kevlar, a good plastic or metal, all of those are much better than glass or ceramic. Yeah kevlar or carbon fiber is the best . Why would any OEM make their phone durable? The problem wirh carbon fibee is mass production. When carbom fiber is usex, it usually done by hand whixh increases cost. Its a slower process harder tonuse when you need to ounp up millions kf phones in a short time. Kevlar can be machined, but again foe a phone rhe process takes longer driving up cost. There are different types of ceramics. And im with you, all glass breaks. The iPhone 4 had a ceramic back too. And it broke very easily. But the dsya if carry a phoke without a case are gone. You all asked foe this. You wanted chesper maywrials that make rhe phone feel premium, when actually its even cheaper. Aluminum is cheaper than plastic in many cases. Glass is even cheaper. If you gonna use a case, it doesn't matter what its made of anymore. Just give me the emerald Green! Please Samsung, give us a Galaxy S10 Mega. I want a Mate 20 X competitor. This is gonna be an expensive phone. The 5G model with everything is gonna cost $1500. The starting price if rhe flat model qull probably be $750. But it will be worth it with greats cameras, qhd display and more. Like an S8 with a new look. The Note 10 is gonna be a frikkin beast of a phone. With a 4K display and 512GB and 5G is gonna cost $1399 or more. Note 10 is already shaping up to be phone of the decade! Looking forward to more colorful galaxy phones. Just hope they don't look tacky!!!. I still have fond memories of my. Emerald green s6 edge, why did I sell it!! !.